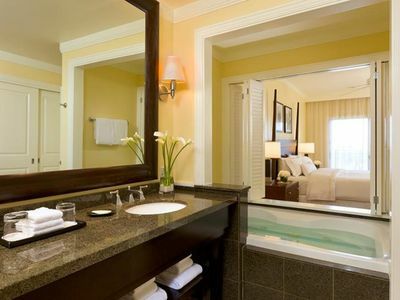 THE BEST LOCATION FOR THE BEST PRICE! Spacious enough to bring the whole 'Ohana. 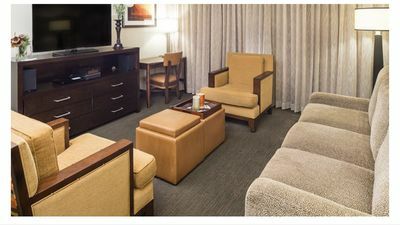 Our standard rate of $299 per night (plus 14.42% taxes and $125 cleaning) includes up to 6 guests with no extra person fees! 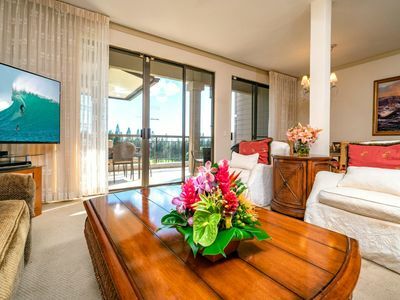 Suite #A103 at The Ka'anapali Shores is your perfect home away from home while you're in paradise. 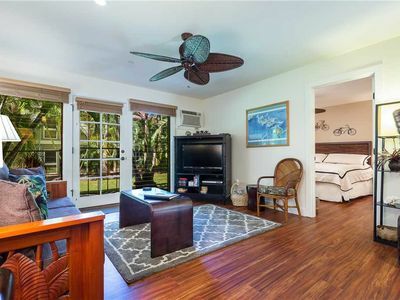 What's special about this condo is its unique location. 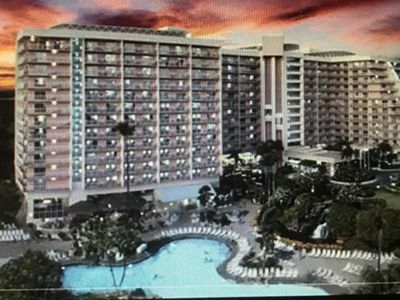 Right on the ground floor, in the very front of the building, it allows our guests easy access to the beach (seasonal) and pool. 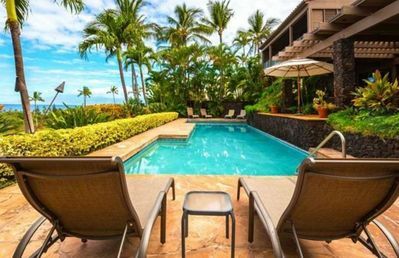 Simply walk through the private ocean view patio and across the sunny yard, literally just 10 steps and you are at the ocean front pool. 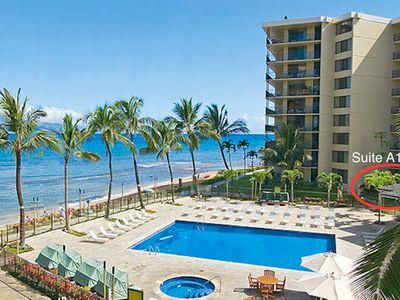 A few more steps will take you to North Ka'anapali Beach. 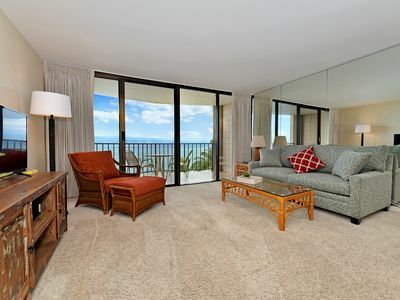 Explore the beautifully landscaped grounds, stroll along the beach walk, or simply enjoy the ocean and pool views from the comfort of your lanai. 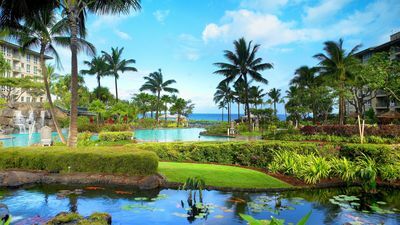 The Ka'anapali Shores is located on ten acres of beautifully maintained gardens just North of the major Ka'anapali hotels. 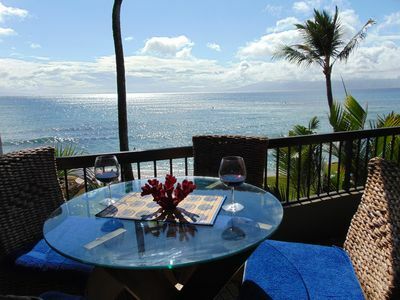 On-site there is a general store and ocean front restaurant. 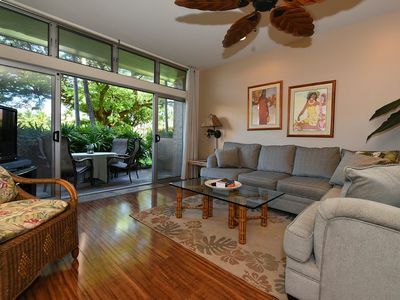 Across the street there is a complete super market and many other dining options are located with in walking distance. Please be advised that parking is $9 daily and paid directly to the front desk. 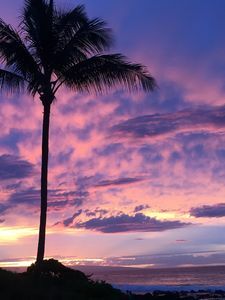 Although a car is not absolutely necessary, we recommend guests rent a vehicle if they plan on exploring any area of Maui other than the resort. 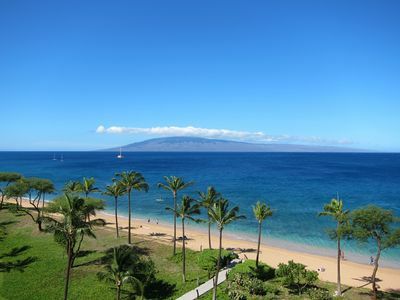 When you're ready to explore, the Kaanapali hotel area and Whalers Village are only 5 minutes away. 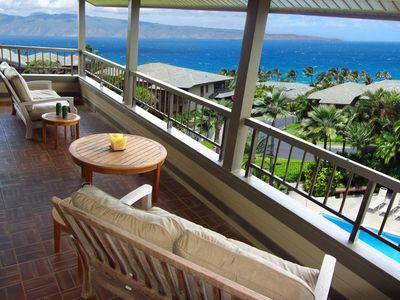 Historic Lahaina town with the famous 'Front Street' is only 10 minute drive South. 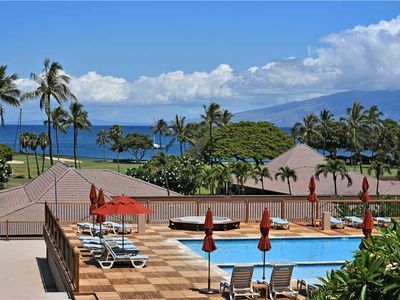 The resort area of Kapalua, Napili, and Honolua Bay are 15 minutes North with excellent beaches, snorkeling and dining abound. 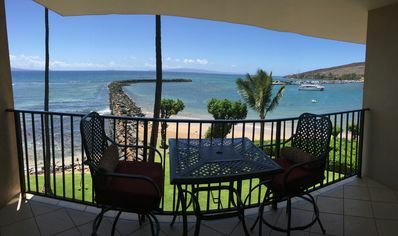 If you need advice about activities, beaches or anything in between, simply ask us or the friendly concierge on-site. Please check the calendar for available travel dates. We take pride in keeping our calendar updated. 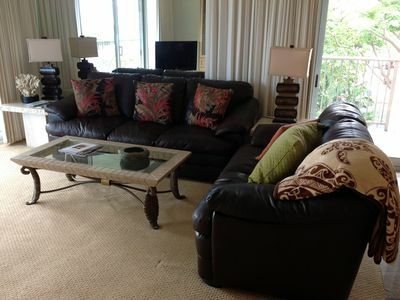 Our standard rate of $299 a night requires a 50% deposit due upon booking. 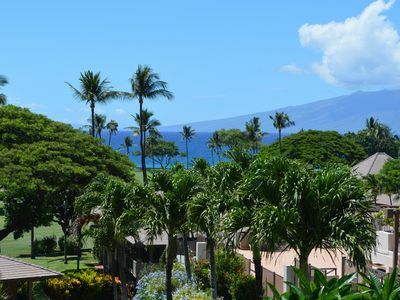 At this rate, even including 13.42% taxes and fees, a 7-night oceanfront stay in Maui for six comes to only $2,500.02! Last minute discounts may be available. Send us an inquiry or give us a ring. 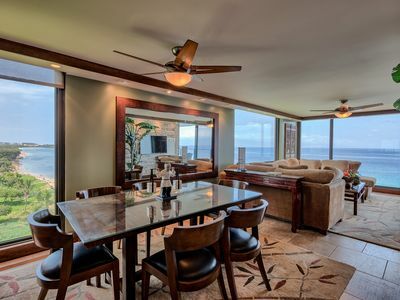 Maui Eldorado F202- Ocean views from the Bedroom, Living room and Kitchen! 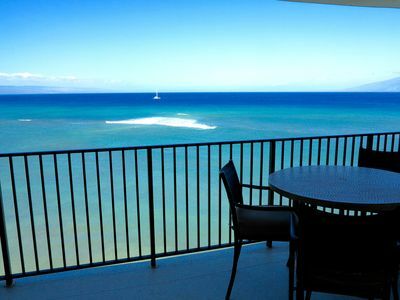 Prime Ocean Front! 5 STAR REVIEWS! 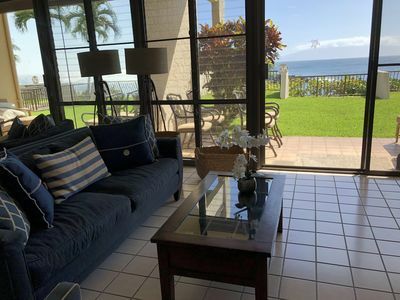 Kapalua Ridge Villa Panoramic Ocean Views!